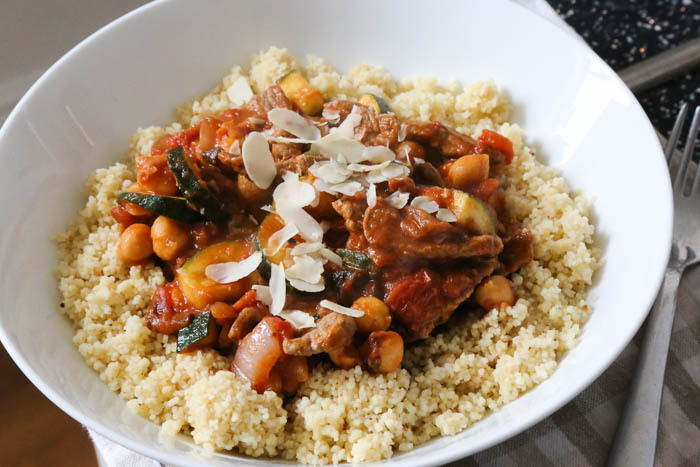 Quick & Easy Moroccan Lamb Tagine with Try Lamb, Love It! I love Moroccan food, especially lamb dishes – the meat just lends itself so well to the spices and the slow cooking. But they can take a long time to make. 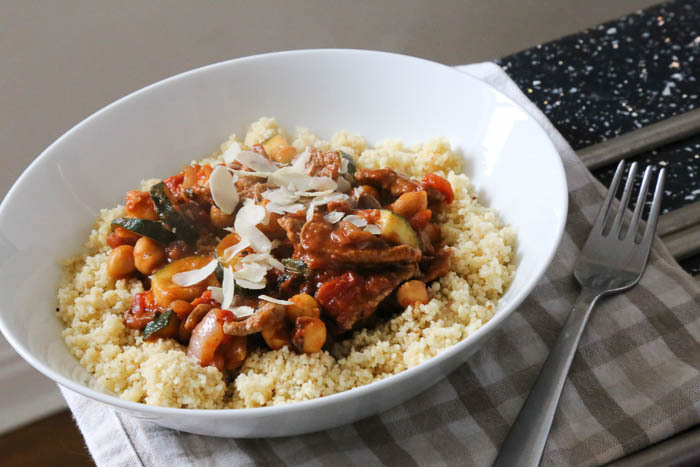 Being the impatient and busy lady I am, I figured there must be a quicker way to make one of my moroccan favourites at home, so here’s my super easy and QUICK Moroccan Lamb tagine recipe that you can whip up in under 30minutes! Perfect for dinner parties, date nights or just a mid-week tasty treat! AND Lamb is a great source of protein and packed full of B vitamins which help fight tiredness, what’s not to love?! 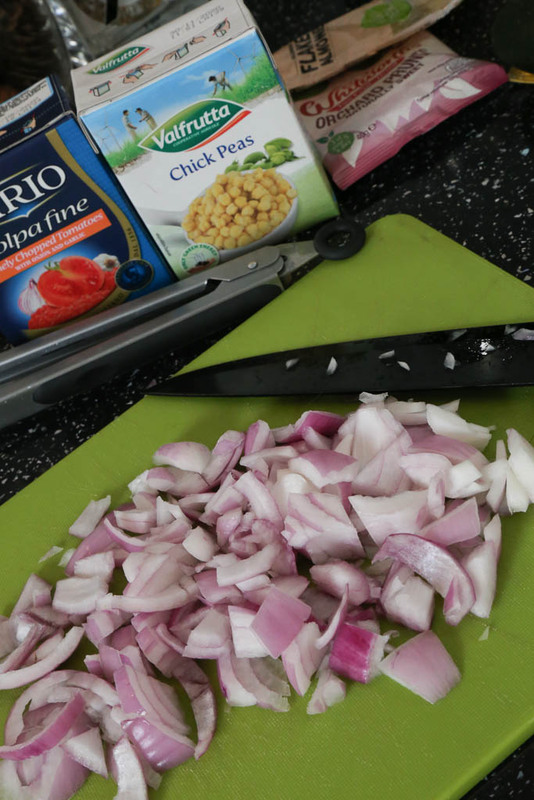 Boil your kettle and make cous cous as per pack instructions. 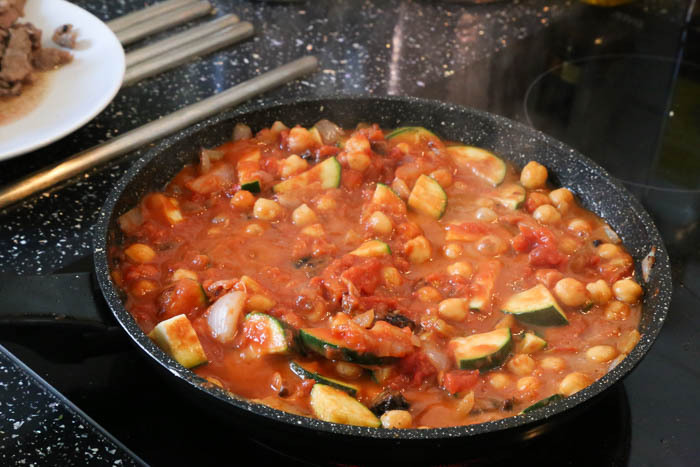 Chop your onion, courgette and apricots before softening the onions in the same pan as the lamb with a little more oil and add the courgette, drained chick peas, drained puy lentils, chopped tomatoes, stock, tagne paste and apricots. Add the lamb with any juices and let warm through for another 3 minutes. Add sultanas to your cous cous and serve with the tagine on top sprinkled with some sliced almonds if you’re feeling fancy! I love this recipe so much, especially with how quick it is to make! It’s super simple to whip up for friends by doubling the ingredients – subtly spicy, succulent and really filling! Serve with a nice full bodied glass of red wine and enjoy!